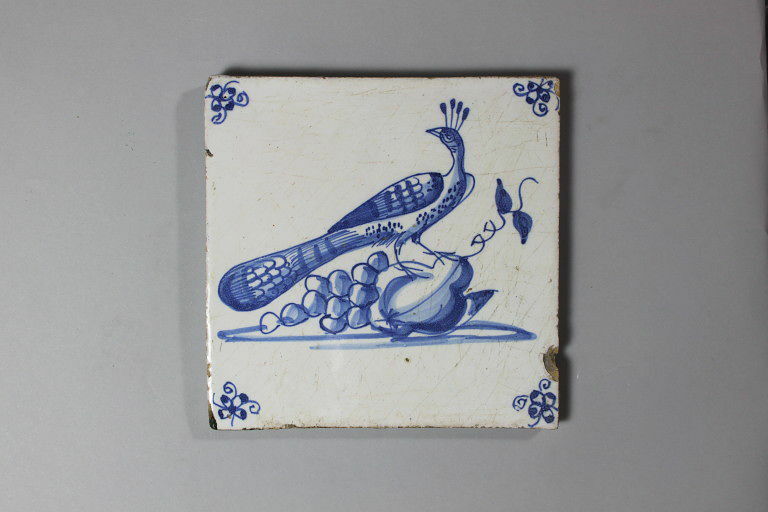 Tile of tin-glazed earthenware painted with blue enamel. 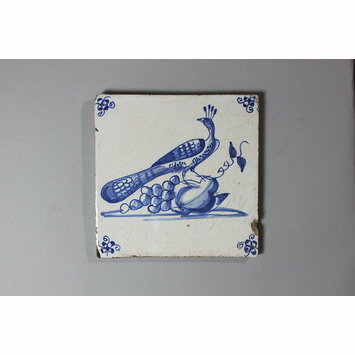 A peacock stands to the right on fruit. Small butterfly-like scrolls in the corners.